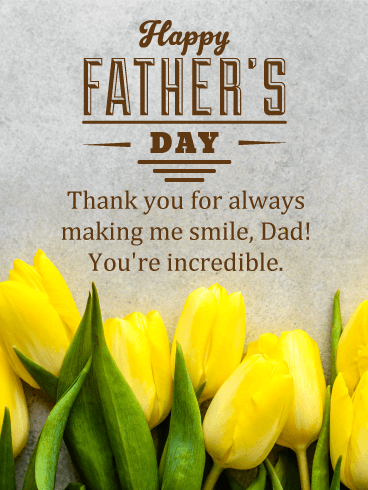 Send your father-in-law a bright and happy card, complete with balloons, some flowers, a present, and more! 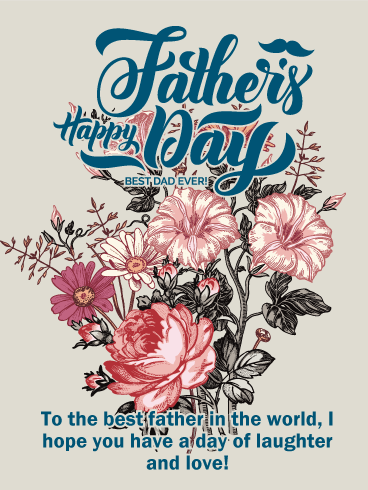 This Father’s Day card will certainly add joy to his day just like he adds joy to your life. 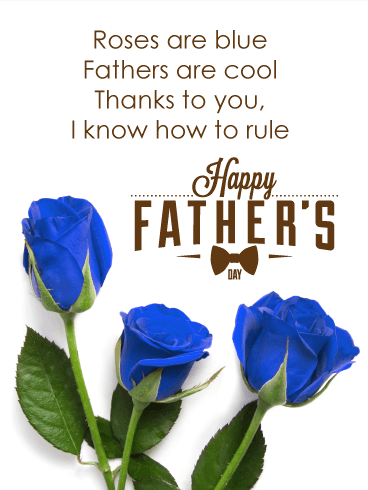 Fathers make our lives complete and they deserve some recognition! 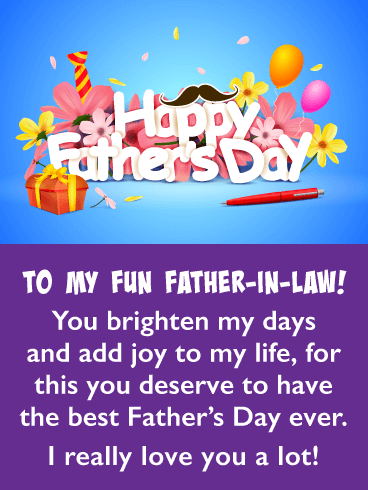 So make your father-in-law feel loved by sending this colorful card his way!